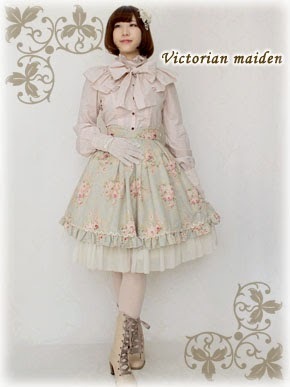 Tokyo Rebel: Victorian maiden's "Rose Greeting" and "Rose Call" series items now up for reserve! Victorian maiden's "Rose Greeting" and "Rose Call" series items now up for reserve! We can now post the new upcoming items in the "Rose Greeting" and "Rose Call" series from Victorian maiden! * Vanilla colorway items are in short supply - if you're interested, we must contact Victorian maiden for availability on a case by case basis. Sorry, the Navy colorway is not available for the Antique Rose Doll Dress or Rose Call Ribbon Dress.